Convenient typing in low light or in the dark. The illuminated keys are sharp, bright and easy to read. 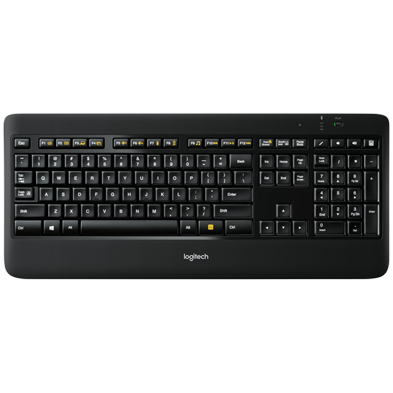 Whisper-quiet, comfortable typing with the Logitech Perfectstroke™ key system and a built-in, soft-touch palm rest. 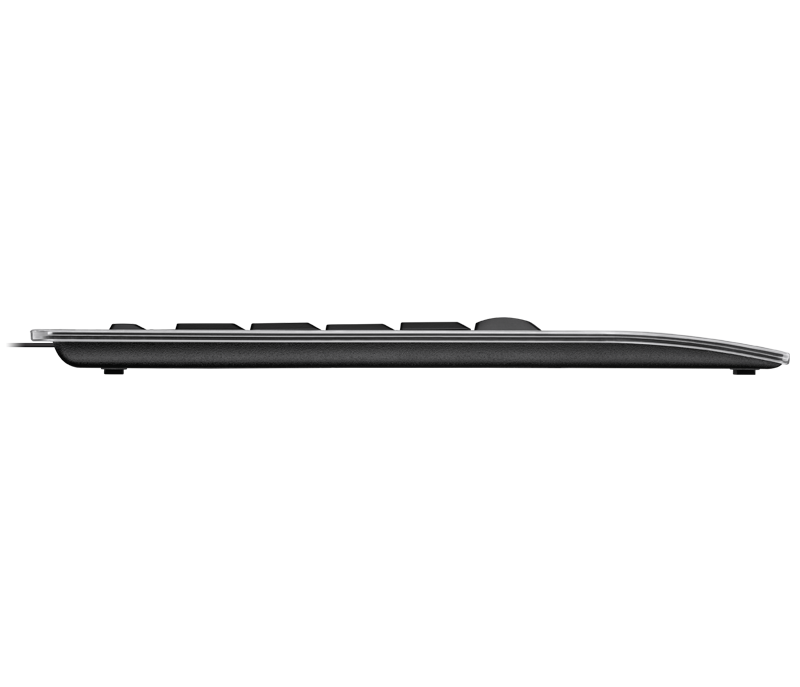 The keyboard is noticeably thin—especially when you look at it from the side. At its thickest part it is only 9.3 mm (1/3 inch) from frame to keys, to keep your desk looking clean and uncluttered. 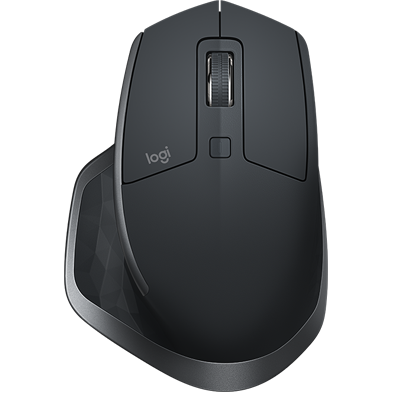 The built in palm rest has a soft, rubber coating for enhanced comfort. Your hands should move freely and be elevated above the palm rest while you type. In between typing, use the palm rest as a resting place for your wrists. Placing the keyboard flat on the desk helps to keep your wrists in a more neutral (straight) position, but you can also use the tilt legs to adjust the height to suit you. 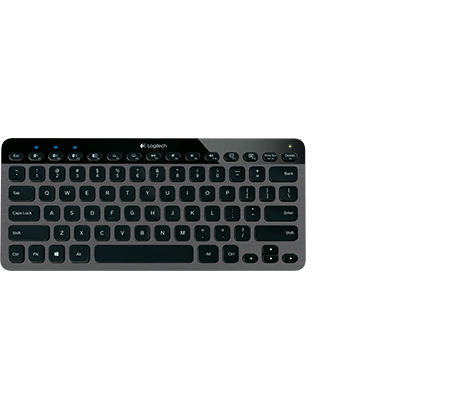 • The most often used functions like search, email or media controls can be easily accessed via the FN key. • There are separate keys to control back-light intensity, sound volume and sound mute. • The Windows® 8 Start key provides an easy way to get back to your start screen. • The frequently used DELETE key is larger in size so your fingers locate it more easily, and the INSERT key is moved to the top of the keyboard to prevent you from typing it accidently. 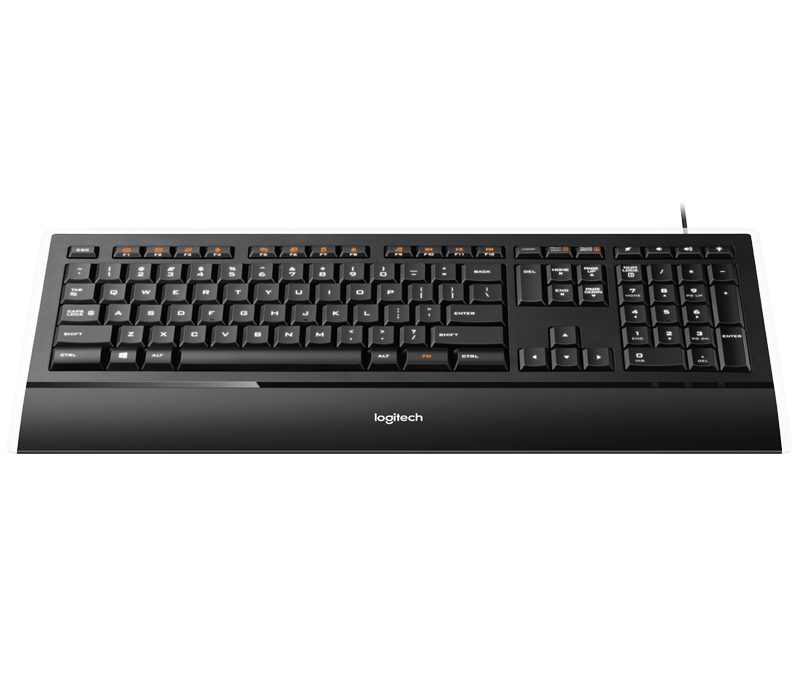 • The keys in the spacebar row are elevated to avoid touching the edge of the key frame when you type. 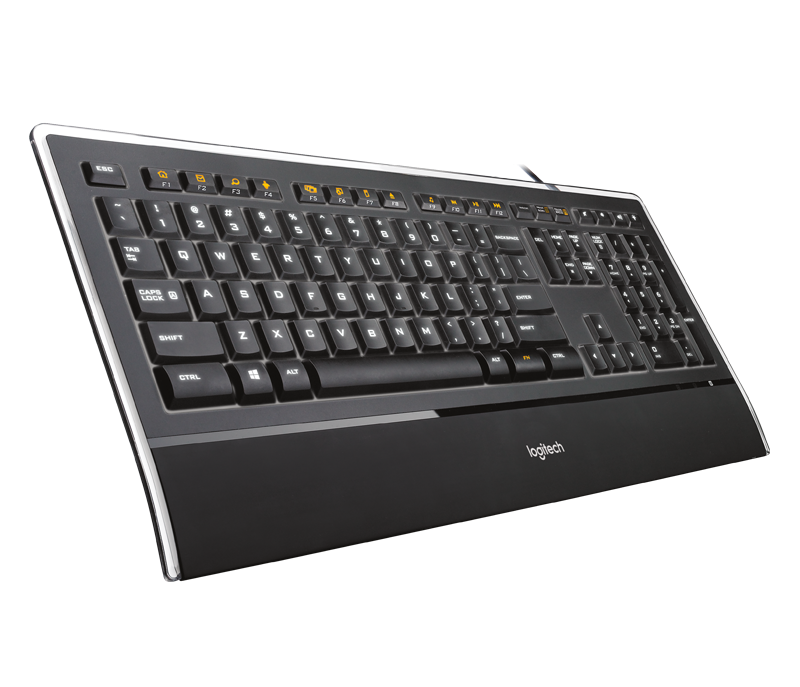 • The 12 shortcut keys are customizable via Logitech SetPoint™ software. 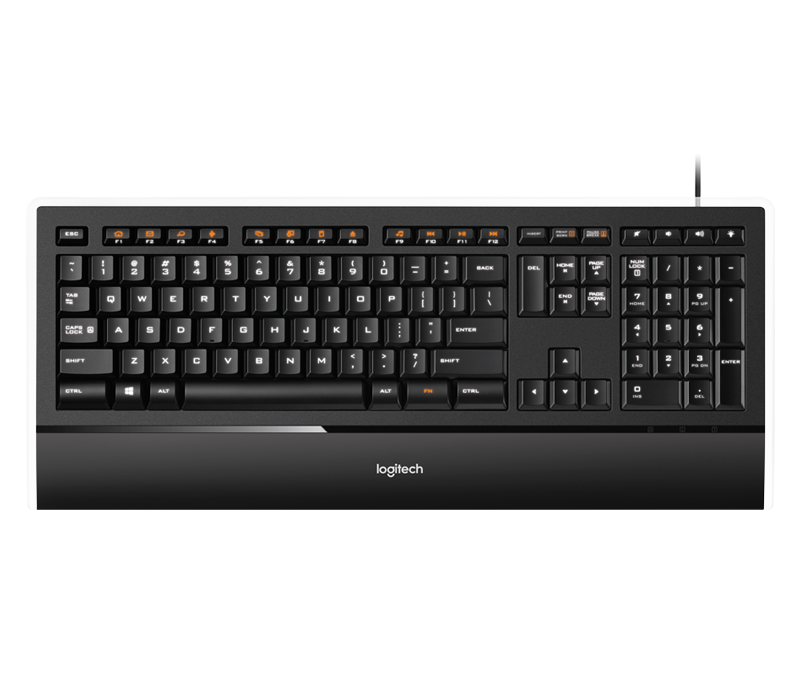 Learn more about customizing your keyboard using Logitech SetPoint™ software.